Asymmetrical tread design for Excellent stability cornering and a quiet ride. 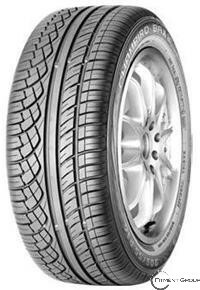 Full Silica Compound for Optimum wet handling and low rolling resistance. circumferential grooves for Optimum water evacuation.